Four Seasons, a unique food space offering Japanese, European and Vietnamese cuisines, will be inaugurated at Sun World Danang Wonders on April 29. 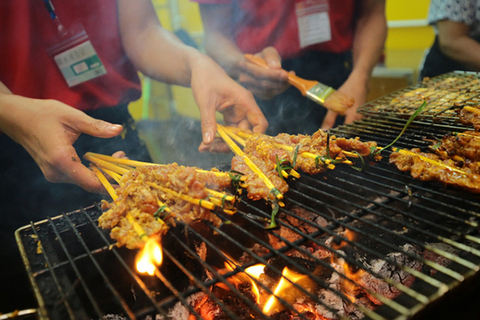 Being a part of Đà Nẵng International Fireworks Festival 2018, this year’s food space reappears with many impressive innovations and is touted as a “must visit” for visitors to Đà Nẵng this summer holiday. With an area of over 20,000sq.m, capable of accommodating 5,000 guests, Four Seasons revolves around the idea of spring, summer, autumn and winter. The spring food court will tell the story of the proliferation of beautiful nature, where visitors can explore the world of Japanese cuisine, including delicious seafood. 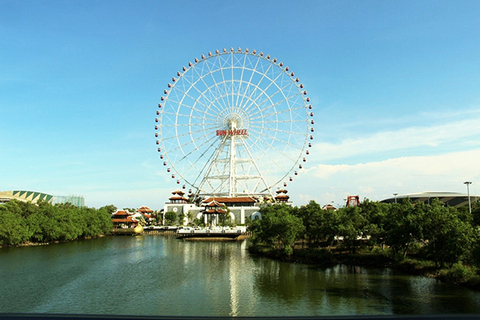 The lively summer area is covered with paintings of colourful Western foods, such as pizza and spaghetti, and is decorated with the background of a blue sea, white sand, water ball and colourful lights. The romantic story of two squirrels under the mossy foliage is the main image of the autumn food court, where fans of Vietnamese food can enjoy the typical dishes from the three regions. The winter dining area, featuring images of white snow and polar bears, promises to offer some of the world’s best grilled dishes and hot-pot. This will also be an impressive highlight in this year's menu. The entire dining space has been designed by renowned chef Phạm Tuấn Hải. 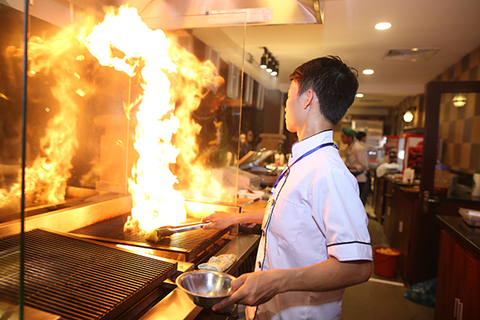 All dishes will be prepared fresh and tested before serving to customers. Besides offering delicious cuisines, Four Seasons is also an attractive art space with unique performances, including magic, Indian circus, fire dance and dance by charming Ukrainian dancers. In addition to these, interesting folk games, such as blindfolded goat, catching the drum beat or going across “Kiều” bridges, will also keep children entertained. “The food space will provide visitors the opportunity to experience international cuisines through delicious dishes of various countries. 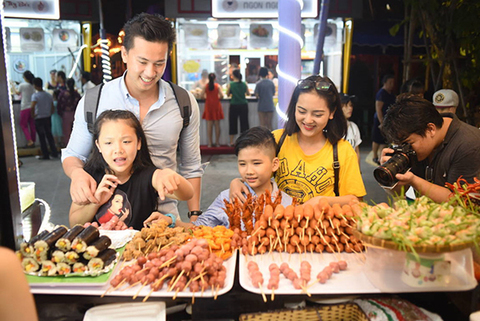 The best part about this food space is that besides delectable foods, it offers many exciting entertainment experiences,” Hải said. Four Seasons will be open to the public from April 29 to June 30, 10am to 10pm, at No.1, Phan Đăng Lưu Street, Đà Nẵng City. 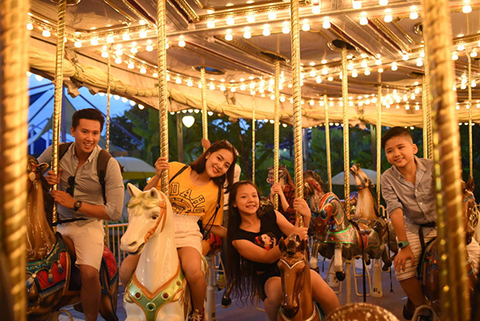 It is not only the ideal destination for visitors in fireworks season, but also an attractive address to relax and joy for Đà Nẵng’s residents this summer.